Established in 1984 in Leicestershire, G&G Signs is steadily becoming one of the premier road sign manufacturers in the UK for street name plates, with a wealth of experience in the supply and installation of road signs. 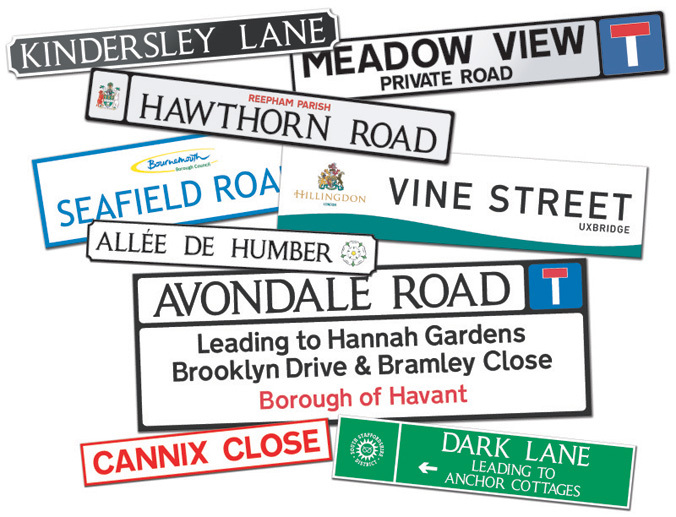 We have one of the largest databases for council and local authorities specifications enabling G&G Signs to be able to manufacture street nameplates to an adoptable standard and high quality. We offer a full range of street name plates, embossed; polycarbonate and GRP composite with anti graffiti overlay film and bespoke cast signage. For our Street Name Plates, we can offer a full range of colours, both reflective and non-reflective.